First of all, I need to apologize to all of you who have been patiently waiting for the next release of Divi Children. About seven weeks ago I published a post to offer you a sneak peek at the new features coming in Divi Children 2.1. I hadn´t set a particular release date by then, but I´d estimated it would take around four weeks and so I answered some of you who asked about the release date through the comments to that post. At any rate, I expected to make the new version available way before the end of the year and the coming Christmas holidays. And by the end of November I even answered this on one those comments: “Divi Children 2.1 is almost ready, but I still need some more days before I can release it, as the whole Divi Children Engine is being revamped“. Now that´s exactly why I´m posting this today: because the whole Divi Children Engine is being revamped. In fact, there are so many changes in it that I´ve decided to call this update a major release and I´m bumping it up to a new first digit update. Divi Children Engine 1.0 was first introduced with the release of version 2.0 of the Divi Children plugin, and the new version of the Divi Children Engine will be 2.0 because of all the changes that are taking place. So, since the Divi Children Engine the plugin creates for every Divi child theme is the heart and the muscle of all the Divi customizing capabilities and therefore it has become the main feature of the Divi Children plugin, it didn´t seem to make sense to be speaking of a regular update for the plugin when a major update is taking place for its most important part. And that´s why I´ve decided to drop the 2.1 version number and the next Divi Children version will be 3.0. What I´ve said so far explains why Divi Children 2.1 will never exist, even if I had announced it some time ago. But you may be probably wondering: Ok, but why don´t you release it at once, whether you name it with a version number or the other? The main reason for me to spend more time before I release the new version has a lot to do with all those changes in the Divi Children Engine I mentioned before. When I announced the new features coming with the next version, I had of course already developed the new Divi customizing features, but I also had started to change many other things inside the Divi Children Engine. It was my first plan to stop that at a certain point, but then I realized that for the future it would be much better to consolidate the foundations of the engine before I released any other update, even if that meant a longer time for the next update to be available. Some of the new coding being applied to the next version won´t be too noticeable to you, as there´s a lot of under-the-hood work. But you´ll enjoy it anyway because it will all account for a much better plugin. Of course the features announced in my previous sneak peek post will not only be available in Divi children 3.0, but some of them will even come with improvements and with more customizing flexibility. Some more new features will be also be included besides the ones I´d already announced. For example, on the featured image of this post you can see a hint of the new “Divi Buttons” section for the Customizer, which will allow you to customize almost every aspect of the buttons on your site, and even decide what type of buttons will be customized. There will also be some other not too noticeable changes that you the user should know and consider, for example those related to the priorities of custom CSS: As it is at this moment in any child theme created by Divi Children 2.0, the custom CSS coming from the Divi ePanel is applied after the Customizer settings for the child theme, so if you use contradictory CSS rules your child theme settings can be overridden. After Divi Children 3.0, however, it will be just the other way around and any custom CSS from the child theme will take precedence. Let me tell you that all your requests for new features are being considered, and that some of them are very good ideas. Most of them will be included in Divi Children sooner or later. So if you´re still missing something that hasn´t be requested yet and you´ll like to see it in a future version, please feel free to let me know about it. I´m working hard on Divi Children 3.0 and most of the work has already been done (you wouldn´t believe how many hours have been put into it so far). But after the delay in the never to be released version 2.1, I don´t want to create any false expectations and therefore I will not speak of a fixed release date. Let me just tell you that it will happen soon and that I really hope that you´ll find it was worth the wait. I understand about the lateness, no worries there. 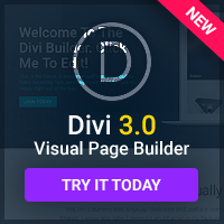 I am curious if the Divi Child 3.0 will mean that a new 3.0 Divi Theme will also be coming around? Nothing to do with Divi 3.0, it´s just my way of numbering versions: if the first digit is increased it means a major update. As I explained on the post, to me this release will be considered as a major update, so it should change from 2.X to 3.0. I tend to use the second digit for some additions and/or fixes or compatibility updates, and a third one mainly for small fixes. Roger that. Just wanted to make sure I had it right. I look forward, patiently, to the release. From a Website designers stand point, I know i would rather have a stable release. And if it takes more time then so be it. You made a great plugin, i would hate to see the quality suffer because some people are complaining its taking to long. Thank you for your time and hard work. I really hope you´ll find it worth it! Louis, your efforts are much appreciated here. Every time you make an announcement of new features, I actually do think for a second, that “what, was he reading my mind?”. For someone that is this passionate about taking Divi to its ultimate level, I’m all for being patient. I still can’t believe I haven’t found the “Donate Here” button yet. Thanks again for continuing to make divi even better as a go-to development canvas. Yes, that’s exactly what I was talking about. Is that already available to do in all ? Haha, it is something I´m working on, as you can see. Not completely ready yet, but it´s a feature I want to include in version 3.0. But I was not reading your mind: somebody else did before, as it was requested some time ago. You have not seen it on any of the comments on my posts because this request came to me via email. It´s something I wanted to do from the very beginning before the release of Divi Children 2.0, although it looked too messy to me. But I´ve devised a not too complicated way to handle it, so now that the Divi Children Engine is being completely revised it seems like the perfect time to include it. Thanks for the this information, i really wondered about what happened to your project. Well its good hearing from you again. I have quite expectations from the next update. Look forward to it. Hope you can release it soon, By the way, have a good Christmas holidays. Luis, I’m more than happy to wait for the next update. Like has been said, it is better to have a stable release and if that means more testing that its better for the end user. 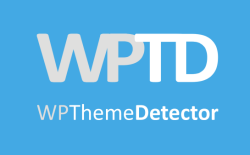 Yet again, I am forever grateful for your efforts in making this invaluable add-on to the Divi theme. Thank you for the update on the divi child plugin! I don’t know if even this was mentioned before but I will just mention it. Viewing this site on my smartphone (android 4) is very responsive except for the comments, I notice that the gravatars are “overlaying” the comments. Therefore I can not read the comments properly. I wasn´t aware about that issue with the gravatars. I´ll try to fix it. I appreciate – and know many others also who are thankful for your hard work on this project. Looking forward to it! I guess you were using the “Install or Update Divi Children Engine” feature of Divi Children, over an existing child theme (which was not created by the Divi Children plugin). You get those messages when you select an existing child theme and hit the “Check Update Status” button. If the child theme is not updated (or was not created by Divi Children), the DIvi Children Engine won´t be present in your child theme and, logically, your stylesheet will not be ready for it. Once you get those messages, if you hit the “Install Divi Children Engine” button, your child theme will be automatically updated and the Divi Children Engine will be installed in it, so you will have access to all the Divi customization capabilities provided by Divi Children (as if your child theme had been created by the plugin from the beginning).